/ Event / Adeunis partners with Aexonis to help drive complexity out of deploying IoT! Adeunis partners with Aexonis to help drive complexity out of deploying IoT! Adeunis, specialized in the manufacture of connected devices and the development of ready-to-use wireless solutions dedicated to the IoT, and Aexonis, the category innovator of IoT mediation and management software, today announced the two organizations are working together to help drive complexity out of deploying IoT and open the market to a broader set of potential organizations that can manage their own IoT network. Adeunis has partnered with Aexonis to help build out a new live air IoT interoperability center of excellence at Aexonis’ France offices outside of Paris in the city of Les Ulis. The interoperability environment is designed to enable manufacturers, developers and other solution providers to come together to test, integrate and experiment with solutions and to demonstrate the high value of common IoT propositions. Adeunis has provided LoRaWAN™ certified intelligent devices. Aexonis is providing a virtualized mediation and management software suite to bring together a variety of IoT protocols, technologies, devices and applications and make them work together intelligently as one comprehensive holistic deployment. “Partnerships are the key to success for IoT deployments, which is why our association with the ecosystem around Aexonis and LoRaWAN technology has become obvious,” says Frank Fischer, Deputy CEO of Adeunis. “Aexonis’ innovative approach for ready-to-use IOT solutions, will enable business acceleration and IoT integration with many customers”. Adeunis® is a leading European company, specialized in the manufacture of connected devices and the development of ready-to-use wireless solutions dedicated to the Internet of Things (IoT) in the BtoB business sectors. We have over 20 years of experience in the field of M2M/IOT to support your IoT solutions. The Adeunis® offers your needs on the Building Management and Processes and Services Optimization markets. Founded in 2017, Aexonis is the leader in IoT mediation and management software. With research and development facilities outside of Paris, France and Dallas, Texas, the company’s mission is take the complexity and cost out of deploying IoT and help open the market to a wider array of service providers, commercial enterprises, and public service organizations. 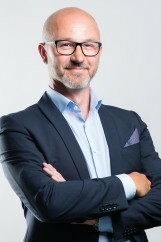 Within Aexonis’ France operations, the company manages the industry’s first live air IoT interoperability center of excellence where its mediation and management software work with best in class applications, intelligent devices, and radio frequency (RF) network infrastructure to help organizations prove out cost-effective deployment alternatives. For more information, visit www.aexonis.com.